Our Secured Lending Platform offers clients a smarter way to access Irish Property Investments, earning returns of 6 - 8% APR while also helping to build new family homes across Ireland. Unlike traditional property investment, with Initiative Ireland you aren’t buying a property yourself, instead you co-fund a secured loan provided to an experienced developer which is secured against a property. We manage the loan from end-to-end, you help co-fund the build of new social, affordable and mid-market homes. Just like with your a mortgage, as a property lender the loans are secured against the property title deeds from the start. We carefully assess each loan to assure a minim of €133k in property collateral value is in place for every €100 released to the borrower throughout the course of the loan. This collateral cover protects you as a lender from market volatility, providing a more predictable return for lenders without all the work and risks usually involved with direct property investing. By helping to deliver social, affordable family homes, you are also doing good, making a real difference to Irish Families across the country. How do I setup a Private Lending Account? 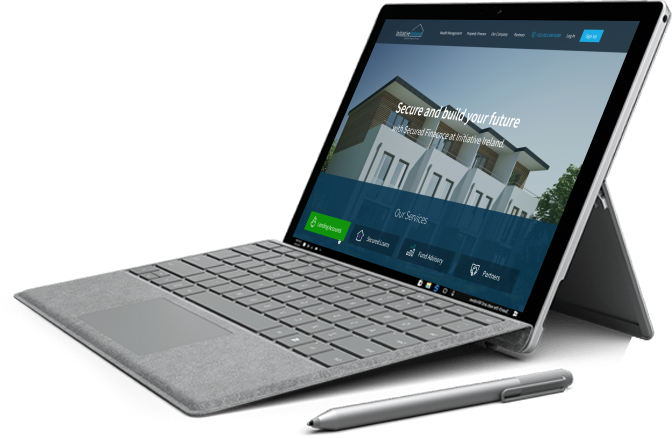 Simply register, indicate that you are signing up as Private Lender and complete the suitability questionnaire to access the platform and view live deals. Transfer a minimum of €1,000 to your regulated e-money account provided (account details provided on the platform) to commence your lending journey. How long are loan terms? Loan terms provided to developers will not exceed 24 Months. Because we phase the release of funds to the developers, subject to ongoing review, there are opportunities for lenders to committ funds at the start of the loan, or at later stages. You will see each Loan Listing via our platform once you have been accredited, which indicates the expected term for that listing (ranging from 3 to 24 months). Can I access my funds early if needed? Loans may repay early or may take longer to realise. As such, we do not recommend that you committ funds which are needed at short notice. Should you require access to funds early, this may be acheived through re-syndication of your loan which is subject to approval and terms and conditions. Early access may result in a loss or reduction of your accrued interest on that loan.